Join us for the first ASPS Spring Meeting in Las Vegas at Caesars Palace, March 14-16 to see a live demonstration of our ground-breaking imaging solution, including the newest Augmented Reality technology, the very first imaging solution in the world where patients can see their post-op 3D simulations live and in real time. 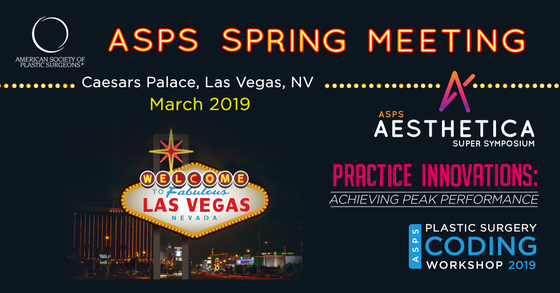 This unique meeting brings together attendees from several independent ASPS programs including the Aesthetica Super Symposium, Practice Innovations, Plastic Surgery Coding Workshop, The PSF Study Section and the ASPS/PSF Board Meetings. If you’re attending be sure to stop by and visit Crisalix exhibit!